According to history books, the Roman Empire ended in 476 CE with the fall of Rome. But if you asked most people alive at that time, they would have pointed you to what they considered the continuation of the Roman Empire—the civilization we now call the Byzantine Empire. The Byzantines, however, were more than just a remnant of Roman glory. At its geographical peak, the Byzantine Empire stretched out across the Mediterranean world. Culturally, the Byzantines both preserved the knowledge of the classical world, much of which was lost in the West, and added to it. 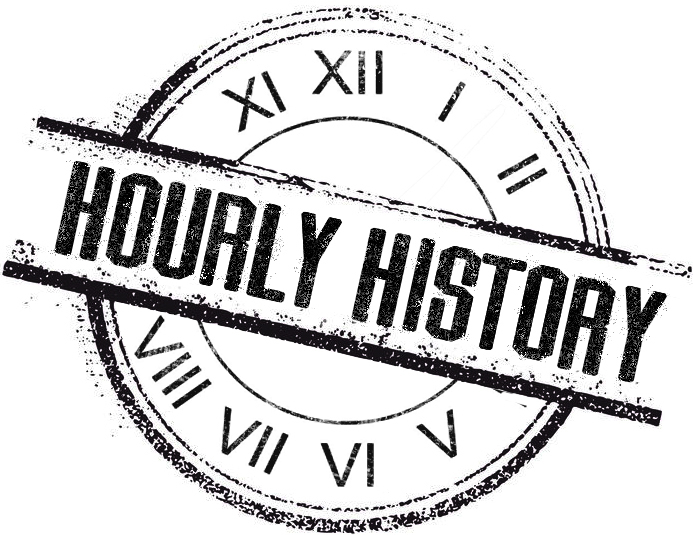 Many consider the Hourly History books the best buy on Amazon. 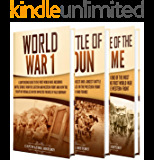 The books can be obtained for free – two books this week – that are easy to read, can be finished in an hour, and give readers information that they should know. This book about the Byzantine Empire in the east tells that the western Roman Empire did not end in 476 as many claim. Roman power moved from the west to the east, from Rome to Constantinople, which continued to exist from 284 CE until 1461. We read about the questionable conversion of Constantine to Christianity, other leaders, religious controversies, cultural developments, the many intrigues, wars, and political gambles yielding successes and failures, which turned Byzantium into a major power for over a thousand years. 3.0 out of 5 starsa candid and quick read, spotlighting the Byzantines. This book was a good introduction to those who are interested in learning more about the Byzantine Empire. It wasn't my favorite Hourly History book out of all I have read so far but I liked it for sure and it really was fascinated. All the emperors and their names made my eyes cross a little, though. It could get a little bit confusing unless you're really focused on the book. The book covers the rise of the Byzantine Empire, wars, the house of Macedon and the final decline among others so there were lots of new things for me to learn, which I thought was great. The one thing that stood out to me were how the Byzantine Empire basically just kept coming back for more even when they seemed to be on the brink of destruction. Can't help but admire that in a way. 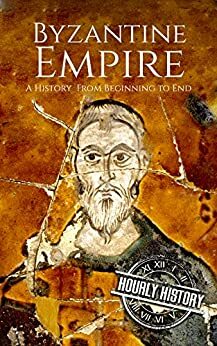 Overall, Byzantine Empire: A History From Beginning to End by Hourly History was a candid and quick read, spotlighting the Byzantines. They certainly were a fascinating bunch and I'd just love to see more books set during those times, whether it's ficion or nonficion. So recommendations are always much appreciated. Rather a challenge to fit 1,00 years of history into an hour's read. Although not dwelling on the specifics - it reinforces the irrational effects that various strong beliefs had (and continue to have) on killing millions of earth's populations. Wow - they sure seemed to cycle through a heap of leaders in all that time - regularly executing many? Apart from some lingering, and illogical, pockets - we seem to be, currently, going through one of the longest periods of 'peace' in our 'human' history? While I cannot give it a full 5 stars, this piece is pretty well written. Short and sweet, to the point, the Byzantine Empire was pretty remarkable in its day, and the culture has lived on. Many, if not most, people have had very little understanding of just who these people were and of course one cannot discuss them without mentioning the Ottoman Empire. For me the biggest takeaway from this refresher on Byzantine history is the struggle between Christian and Muslim beliefs, and sadly as is obvious, the Byzantine Empire was ended by a Muslim onslaught! Freedom is not free as we well know in the United States, as we struggle even this present day to preserve that notion, with Socialism rearing its ugly head as we speak! Interesting if quick review of an empire that lasted a thousand years after the western Roman Empire fell. How the Eastern Roman Empire came into being, How the original system of reign and rule for both halves broke down, and how the Eastern Empire grew into a Greek Empire rather than the Latin of the West. The rise to a real point of glory, the long series of battles that kept the West safe, the erratic series of Emperors, some good, most weak and venal that weakened and eventually lost out to the Turks. For a quick overview, I recommend it. 5.0 out of 5 starsA great history of the east for history buffs ! I have visited and lived in areas of the old Byzantine Empire, but without much written history available was quite ill informed .So glad to read the reasons for the breakup between the Roman and Eastern Christian churches. Another fascinating story about the rise and fall of another Empire. I find it very interesting to see how the people of these regions are brought together and torn apart by war and religion. It is sad to see that we haven’t changed all that much. 5.0 out of 5 starsConcise and well researched. Now I understand the description of something very complicated as Byzantine. I was raised in the Byzantine Catholic church, so this history was fascinating.